In a recent blog post he deals with this issue; the paradox of having ‘an unusual shape, but no pain’, and the confusion this causes for the ‘concerned stranger’. This new collection, which won the 2013 Whitmore Press Manuscript Prize, condenses these concerns with the confidence it takes to let them be understated, if ever present. The relation of bodies to themselves, and to the world, is rehearsed over and over again, tentatively, ironically, quizzically. So it is that the collection begins with questions: the first poem (‘What’s possible between us’) is a question and a statement, and also asks ‘Who knows what we are capable of?’ It then poses another, equally perplexing question: ‘Spider, / it is almost terrifying to me – suspended / only by the work of your own body.’ In a recent edition of ABC Radio’s Science Show, a scientist spoke of an atomic clock that was so accurately calibrated that, if it were a tuning fork, once struck it would continue to ring for a thousand years. ‘What’s possible between us’ came immediately to mind upon hearing this, as did the whole book, which this poem resonates through. We are all strangely alive. This mix of the ordinary and the ‘almost a metaphor but not quite’ is artful and precise. 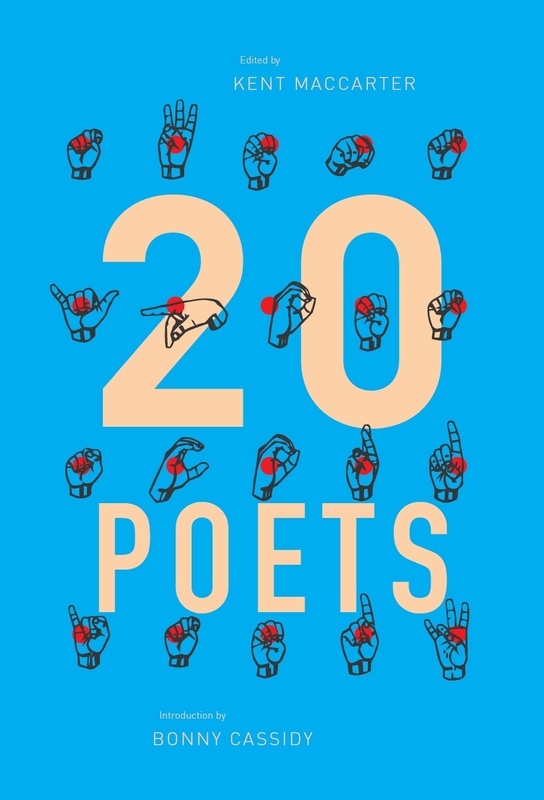 In another poem he says: ‘Hugo Williams wrote, Given that poems themselves are metaphors, / I find overt metaphors more and more embarrassing in poems,’ and the book is a kind of bashful, glancing attempt to overcome this embarrassment. Earlier in his career Jackson wrote and performed a poem (‘I have a hunch’) that literally made light of his ‘affliction’ in an almost medieval fashion: the poem, he has said, was a conscious decision to name the elephant in the room and show what that elephant could do. In this book we have a poem, ‘The elephant’, which is in effect a reductio ad absurdam of the notion of ‘the elephant in the room’ and so slides out from under the weight of metaphor with a flourish. 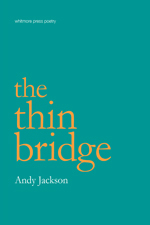 For readers who know of Andy Jackson’s life and physical disposition, the intent of so many of these poems is clear: DNA, the doctors, being photographed (‘This isn’t about aesthetics, but diagnosis’) or sculpted. 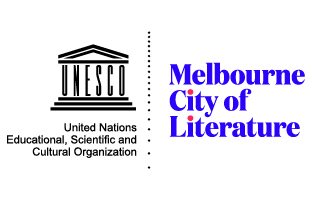 But because they are so unassuming in the way they deal with this given, it is quite easy for them to put it aside, at which point the poems acquire an extra layer of musculature and strangeness. This metaphoric sleight of hand gives the book its very particular mix of lightness and tension. pushing the slumped textbooks back to vertical. The dividers are never strong enough. And then, later, the line ‘Spines must be desensitised, due dates stamped’. No matter how often one reads this, how often one thinks ‘Oh yes, his spine,’ the line refuses to play along. ‘No: book spines in a library,’ it says as it stares the reader down. All the way through the rest of the book, and on renewed reading, that hip-joint clicks softly, almost metronomically. Jackson’s formal skills make the tensile strength of so many individual lines easier to fathom. A sad tender poem about his father’s loss of a leg is cradled expertly in the deceptively lilting form of a terzanelle. ‘Is a wood and plastic limb a tender, loving thing?’ it asks, posing yet another ineffable question. low around his waist, is reading  I Married Wyatt Earp. There are two men actually wearing cowboy hats. Coca-Cola vending machines line the wall. No newspapers. There are echoes of Brecht’s more forlorn and personal poetry in lines like these, and The thin bridge has much of the same wry, weary good-soldier feeling as Brecht. ‘Never mind what they say, or do to you’, the collection says to us, because who knows what we’re capable of? This entry was posted in BOOK REVIEWS and tagged Andy Jackson, Peter Kenneally. Bookmark the permalink.